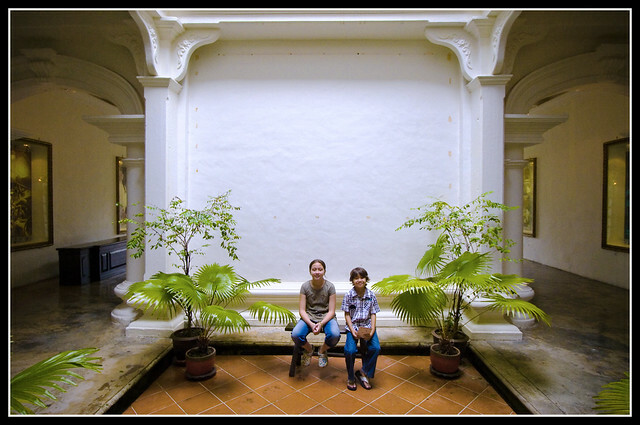 The Thai Hua Museum has changed quite a bit in the last 3 years. There is an entry fee now (200 Baht) - but I think it's worth that. 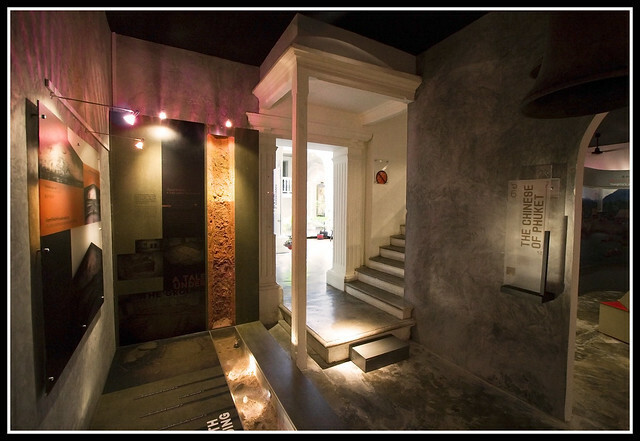 The museum now has many rooms full of displays and information about the history of Phuket. We visited again a couple of months ago, and we were impressed. There's been a lot of investment here and if you happen to be in Phuket Town, I say go and visit! For a start, the building itself is really nice. 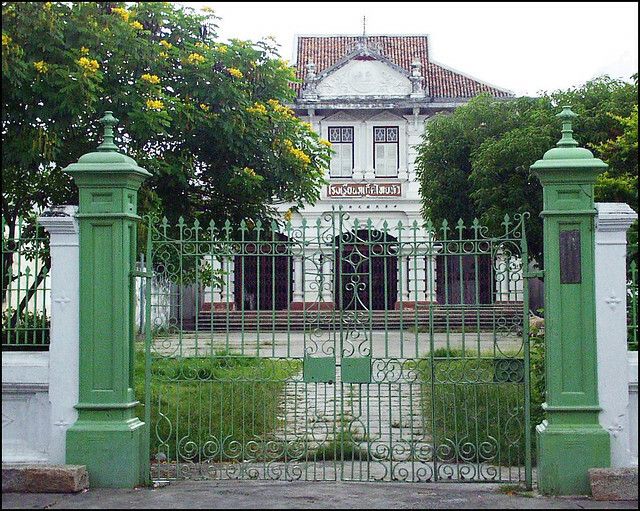 An old (early 20th century) mansion that was built as a school for the Chinese-Thai families who had flocked to Phuket in the 19th century for the tin mining industry. Some parts of the interior still look like the old school, and other areas have been modernised with the rooms of the museum clearly labelled.. plus you can pick up a guide to the museum when you pay the admission. 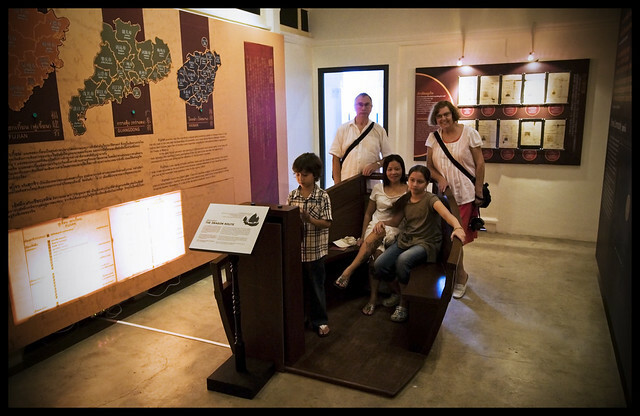 The Thai Hua Museum now has some excellent information about the history of Phuket. I think many visitors maybe think of Phuket only in terms of beaches and tourism, but Phuket did not really have much of a large tourist "industry" until 1985 when the Club Med resort opened at Kata Beach. Before that.. there was some tourism, but Phuket made it's money in the 19th and 20th centuries from tin mining, rubber, fishing, prawn farms and agriculture. 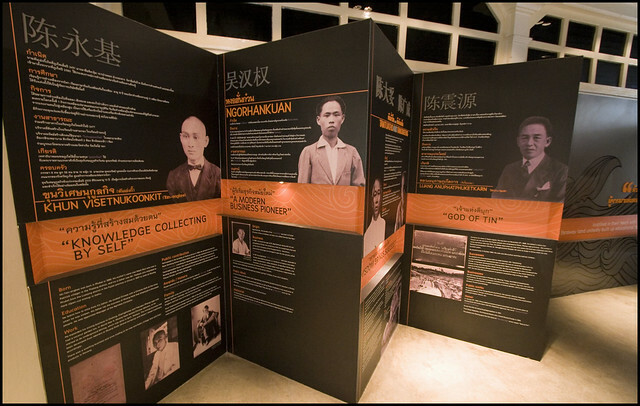 Many of the big Phuket families have Chinese origins and the Thai Hua Museum has some good information on this. Our family enjoyed the visit.. there were even buttons to press on the history displays, and buttons are always good for kids! 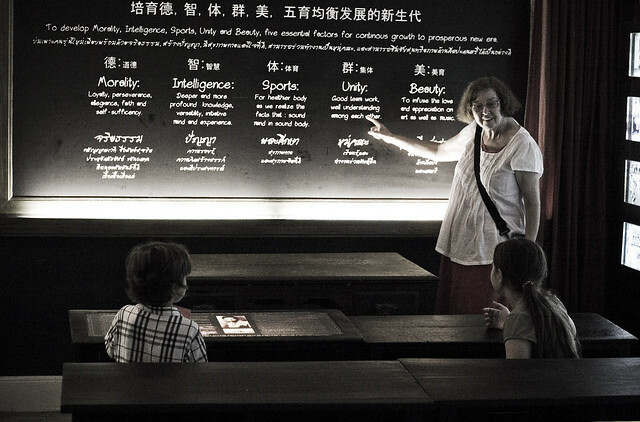 This room below explained which parts of China were originally home to the Phuket Chinese families. 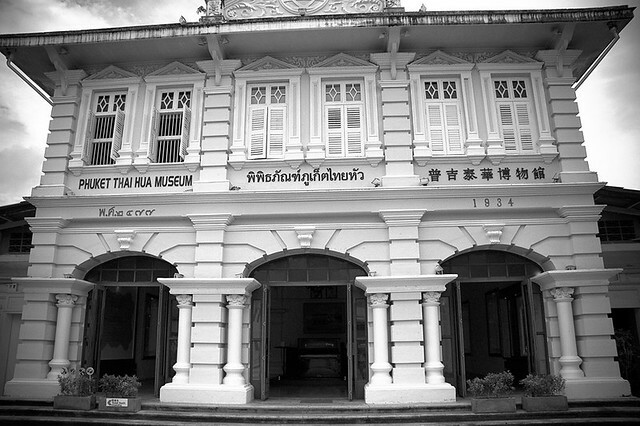 Certainly worth a look, the Thai Hua Museum has a pretty good website, and can also be visited as part of an old town tour with Phuket Heritage Trails. Easy to find, just a bit to the east of Thalang Road on Krabi Road in the old part of Phuket Town. (above) Piles of lovely old roof tiles outside the back of the museum.